(Medina, Ohio, May 13, 2015) The Medina Historic district will be buzzing with activity on June 6th from 9am to 3pm as Cleveland Clinic Children’s, Westfield Insurance, Main Street Medina, Medina Hospital, and Rinky Dink Family Fun Center present Kids Day of Safety & Play. 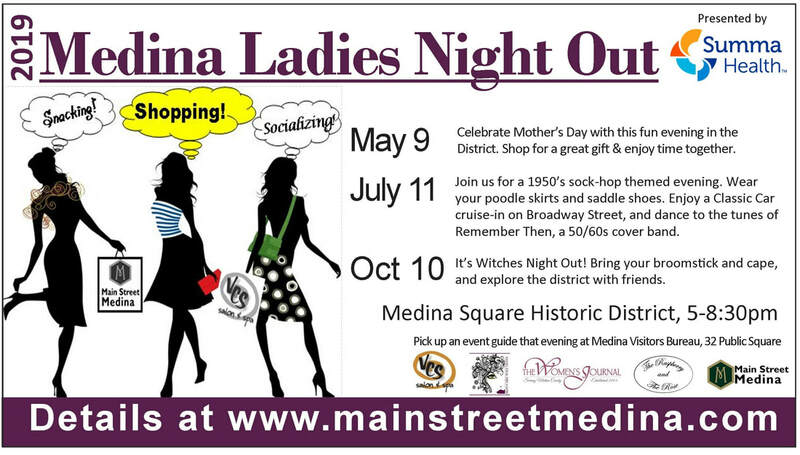 This full day of mostly free, family fun, is a new partnership between Main Street Medina and Medina Hospital. “When Medina Hospital approached us about combining Kids Day of Play with their Safety Fair, we thought it was a wonderful idea. After some discussion with our project sponsors, we renamed the event Kids Day of Safety & Play. Main Street Medina really liked the idea of combining safety and learning with a day of play. The very popular Medina County Farmers Market will be on the Square as well, so there will truly be something for everyone,” shared Matt Wiederhold, executive director of Main Street Medina. The majority of the activities will take place on and around the Medina Square, (google 5 Public Square, Medina, OH 44256). The business members of Main Street Medina will also be holding a district search activity, where children can pick up a map and visit district businesses for free beads to collect and make a key chain. Full information on all activities throughout the day will be available at the Information Booth near the Gazebo. Schlonegar’s Old Fashioned Ice Cream will be selling ice cream, made on site, and Tikiz will be selling flavored shaved ice treats.